Ever heard of a "Noped"? 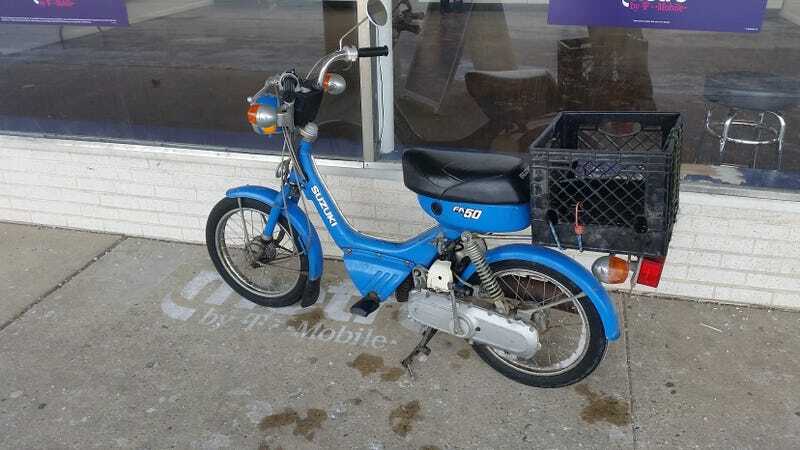 Found this DOTS (S for sidewalk in this case), never even heard of a Suzuki FA50 before. It was very tiny, smaller than an adult bicycle, and looked like a lot of fun. The wheels are 14" for size reference. Pennsylvania requires a license plate for pretty much any two wheeled contraption with a gasoline engine, no matter how small, so owner of this one was technically ‘riding dirty.’ I don’t hold it against her though.